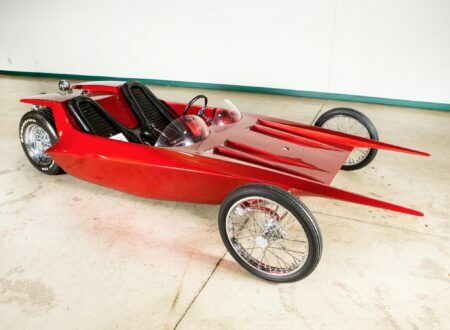 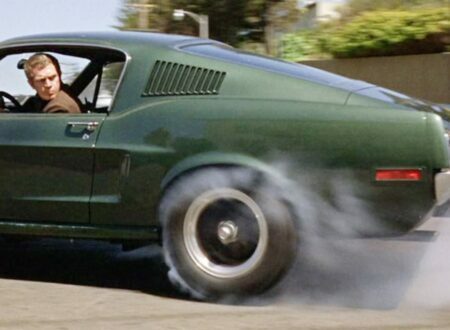 Randy Grubb is a custom car and motorcycle builder perhaps best known for being the man who built Jay Leno’s Tank Car. 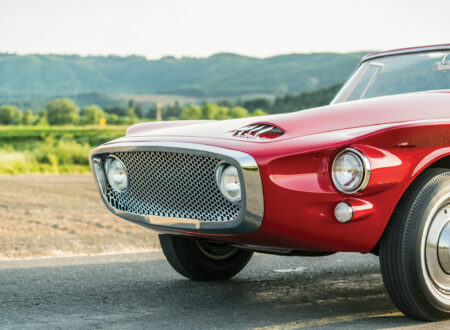 Grubb’s garage has turned out a remarkable body of work including the B-702, Piss’d Off Pete, the Falconer Dodici, the DecoPods, and the DecoLiner. 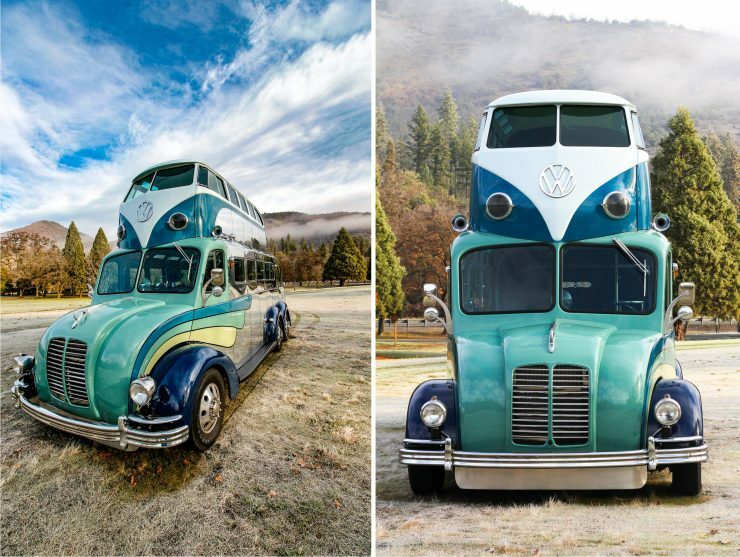 The Magic Bus is Randy Grubb’s newest creation, it’s a bespoke double decker bus with the top deck consisting of a repurposed 23-window Volkswagen Kombi van, the lower deck is custom built, the front end was sourced from a 1947 Divco truck (the iconic American milk truck), and the chassis is from a 1973 GMC Motorhome. 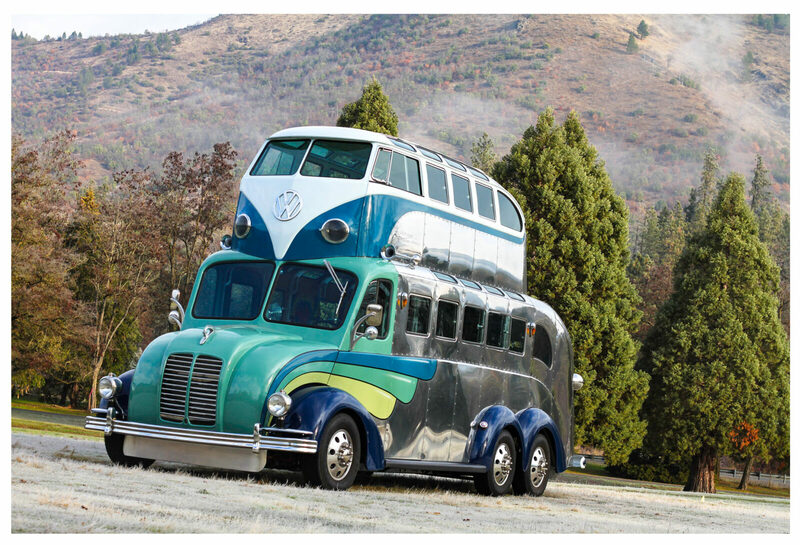 Grubb is known for his frequent use of hefty engines and the Magic Bus is no exception, it’s powered by an Oldsmobile Rocket 455 V8, a 7.5 litre engine capable of prodigious torque figures which made them a popular choice in everything from Oldsmobile Cutlasses to GMC Motorhomes weighing in at multiple tonnes. 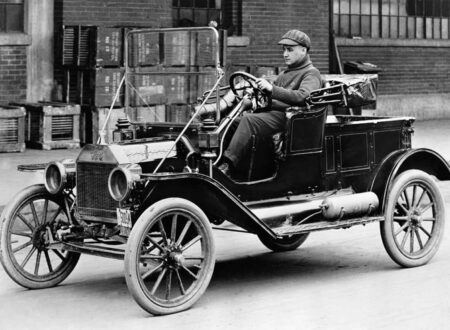 Interestingly, the Oldsmobile Rocket V8 was the first American mass-produced overhead valve V8, first appearing in 1949 and setting the stage for the many OHV V8s that would follow. 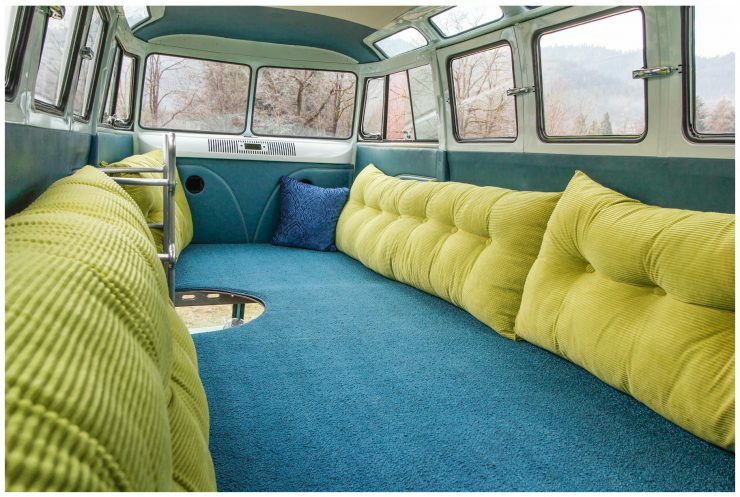 Grubb fashioned the front bumpers from those of a ’49 Plymouth and a ’57 Corvette, while the rear is styled after the ’59 VW bus bumpers. 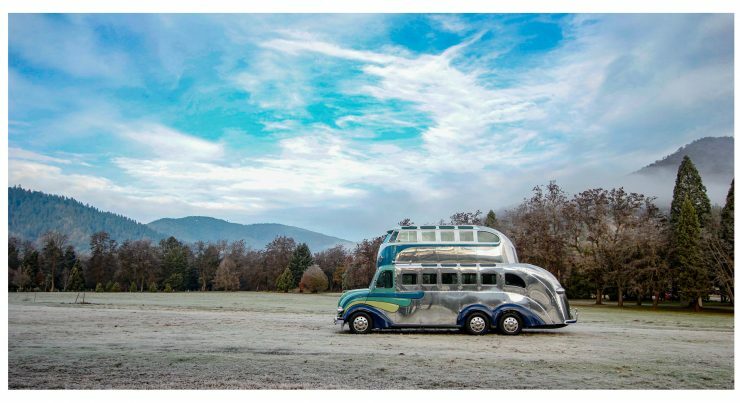 The exterior styling of the Magic Bus is a textbook example of Grubb’s work, with acres of polished, hand-formed aluminum. 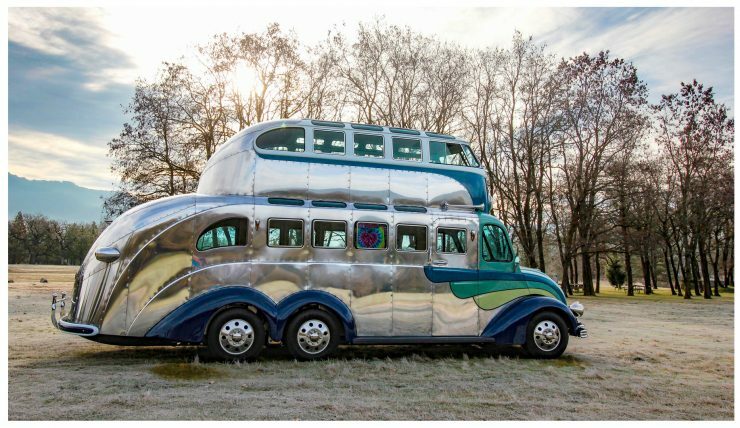 There are ample windows in both the sides and top, there are three axles capped with chrome wheels, and and understated tri-tone paint scheme. 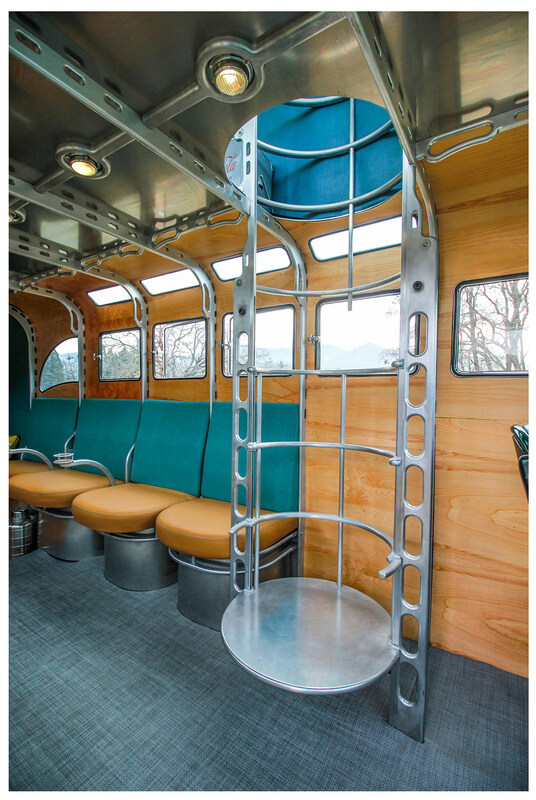 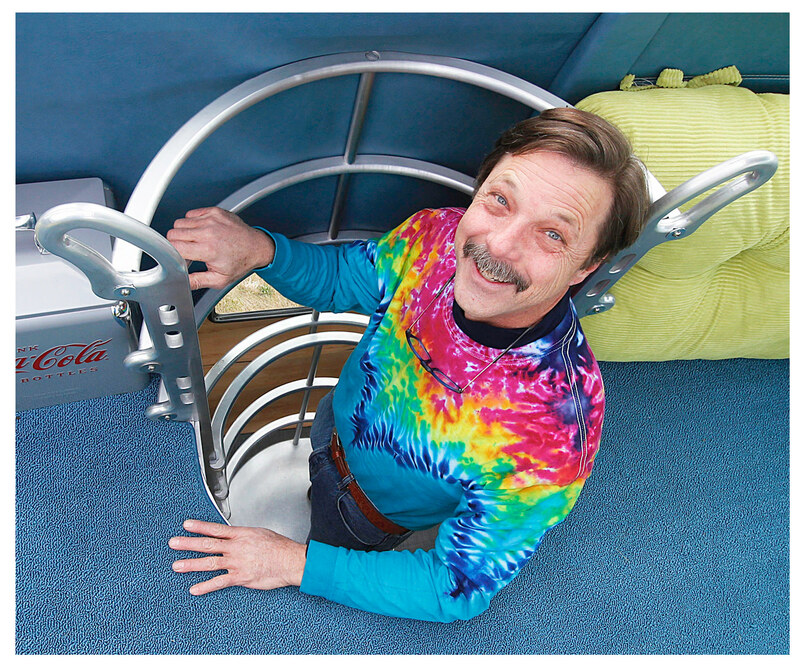 Perhaps the cleverest element of the Magic Bus is its hidden elevator, it’s powered by an ATV winch motor with pulleys hidden beneath the floorboards, allowing passengers to move between decks in a way reminiscent of the transport tube in the Jupiter 2 from the hit 1960s television series Lost in Space. 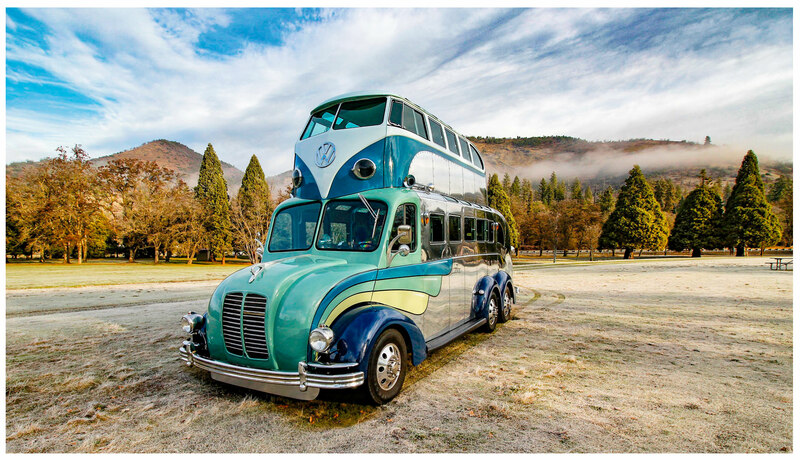 Grubb created the Magic Bus for The Battery, a private members club in San Francisco, to be used for taking members to events outside of The Battery, and to be chartered by members for private use. 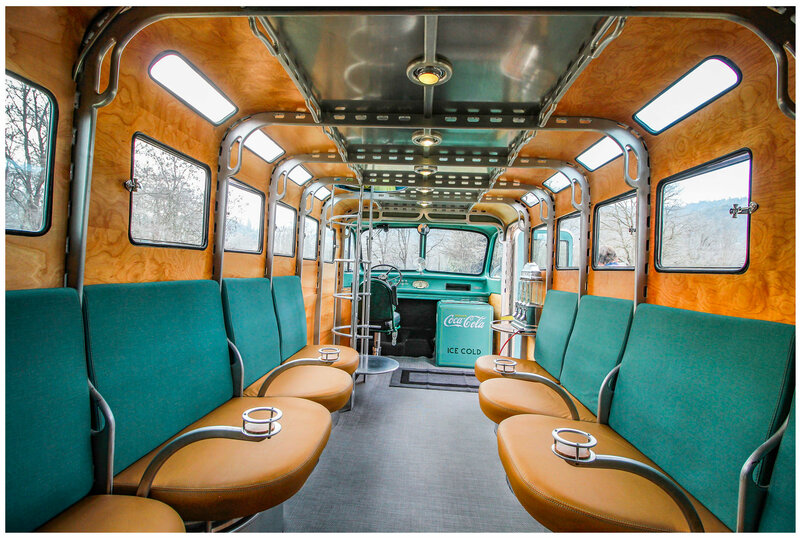 A frequent use is likely to be wine tours to Sonoma and Napa, with passengers enjoying two decks of space and panoramic views made possible by the ample window space. If you’d like to see more of Randy Grubb’s work you can click here to visit his website, or you can see his popular YouTube series here.